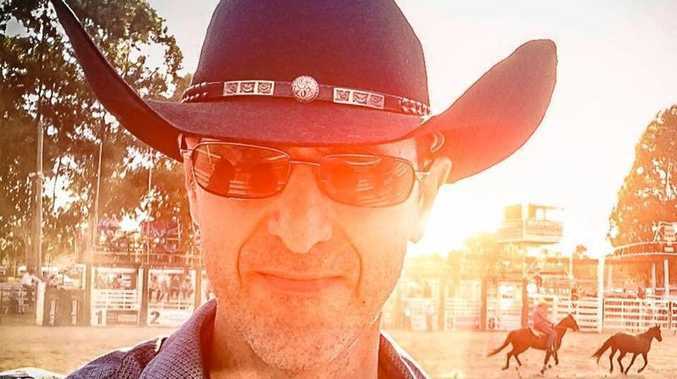 A PRESTIGIOUS Brisbane banker has been leading a double life, living out his cowboy dreams in the Southern Downs and following the rodeo trail in search of action and adventure. With his camera and camping gear in tow, Robert Papa can't wait to escape the office and take in the country as soon as the working week knocks off. His weekend escapes have nurtured a passion for photography and led him to capture the landscape of our region with a fresh eye. 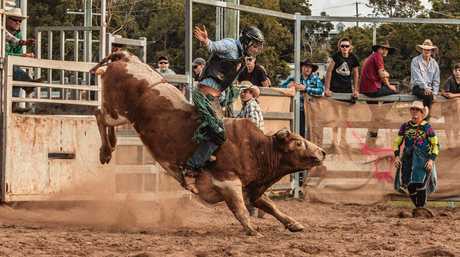 Mr Papa purchased equipment to snap the action when his nephew started bull riding in rodeos around south-east Queensland. "It was always about getting the camera and going out to the rodeos and then from that I got into capturing the sunsets and the country life. It is one of those escapes that I like to have," he said. He's taken some incredible shots. Radiant light emanating from the townships of Warwick and Killarney is the subject of a spectacular photograph he snapped after the Killarney Rodeo last weekend. Taken from a property near Queen Mary Falls, Killarney glows in the foreground of the image and Warwick in the background. Showing the relationship between two townships and the afterglow of the rodeo action, it proffers a new perspective of the country event. "It is quite interesting you can see all the cars heading back to Warwick down the highway and it gives you a sense of distance between the two towns," Mr Papa said. You can expect to see Mr Papa behind the lens at the Warwick Rodeo in October. "It is such a family thing - you've got your mum and dad right next to you while your kids are in the rodeo, wearing the Akubra," he said. 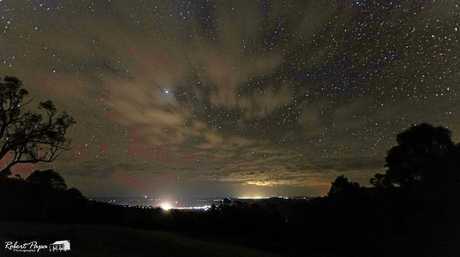 "But it's also the afternoon, sitting down watching the sunset, listening to the music. The whole country comes in to watch the rodeo. It is a part of Australian culture."